The food in Argentina is as diverse and wonderful as the country itself. Despite its location in Latin America, Argentine food is quite different than its neighbors’, and while many people like to think that all Latin countries eat tacos and salsa, this could not be further from the truth. Mediterranean-style ingredients (primarily Spanish and Italian) have influenced Argentine cooking more than anything, and mixed with its indigenous population and Latin flavor, the food from this region definitely has its own unique taste. Because it is primarily a country of immigrants, you can find almost any type of food here (including US food for when you’re feeling homesick)! Argentines have a reputation for their love of eating and social gatherings are usually centered around a meal. It is customary to frequently go out to eat with friends, as the home is reserved for family or best friends and therefore practically no socialization is done in the house. Such a large country has a lot of food variations, but across the board, you can always find empanadas, dulce de leche, asado, and world-renowned beef. Foodies will love being in Argentina (particularly carnivores), but if you are a vegetarian or have dietary needs, there will still be plenty of things to eat. There will be no need to eat at US chains with so much good food here, and this guide will hopefully have you eating like a local in no time. Every area of the world has its own go-to budget meal. 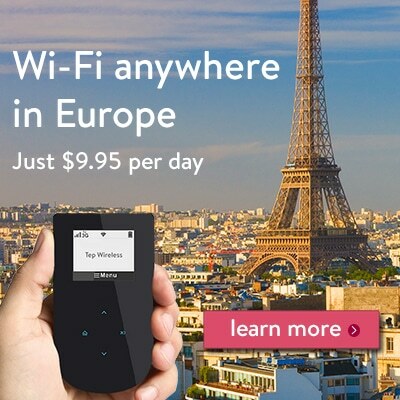 From kebabs in Europe to poutine in Canada, it’s easy to find a cheap meal wherever you are. Enter the Argentine choripan! This delicious sandwich is made with chorizo (sausage), special spices, and many different types of condiments depending on the region. Choripan can be found as an appetizer at an asado (Argentine BBQ) or at pretty much any street cart. The perfect after-class snack or late-night munchie, the choripan never fails to satisfy (unless you’re a vegetarian, in which case, sorry). 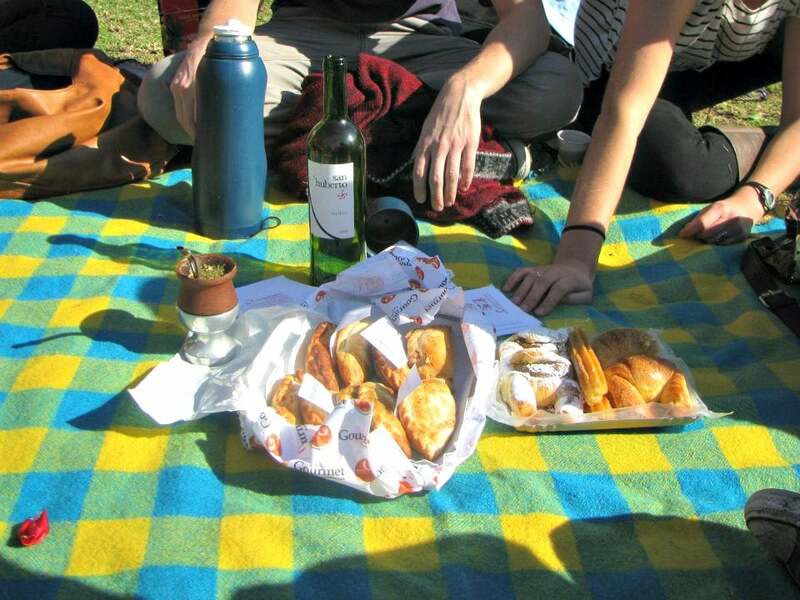 Empanadas are another Argentine favorite, which are small pastries of meat, cheese, and tons of other fillings. These are popular at picnics, as an appetizer, or for a quick meal. The best empanadas are usually found at hole-in-the-wall markets and restaurants, so don’t be afraid to try that place you might have snubbed your nose at earlier. Though this awesome snack can usually be found with meat, veggie lovers rejoice! You can find vegetarian-friendly options with this delicacy as well! Milanesa, or breaded and fried meat, is also frequently eaten as a snack, in a sandwich, or as a platter with mashed potatoes or pumpkin. Italian food is also incredibly popular in Argentina, so naturally a lot of the more inexpensive food includes some form of pizza or pasta. There are also a lot of ways to satisfy that sweet tooth without breaking the bank. Dulce de leche, which is similar to caramel, can be found in pretty much any Argentine dessert and is luckily very inexpensive. Don’t be afraid to buy that tub of it at the grocery store and dip your apples and grapes in it for a quick snack…that makes it sort of healthy, right? 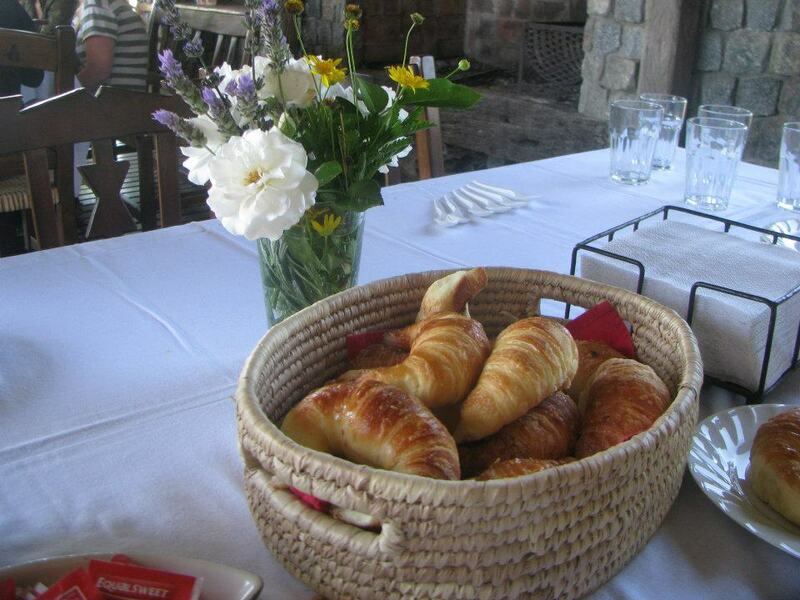 Medialunas, or croissants, are also a good snack. You’ll be hard-pressed to find an Argentine who doesn’t have two or three with every cup of coffee or tea (or just plain because who really needs a beverage to enjoy a delicious croissant?). Weekend markets are the best place to get fresh produce as well as local favorites. San Telmo market in Buenos Aires is one of the most popular in the country, and everything from fresh empanadas to toasted nuts are available for a few pesos. In indigenous areas, potato and corn products are very popular at markets, and hot meals include stews and empanadas. In Patagonia and other coastal areas, markets sell mainly fresh fish and seafood, so don’t hesitate to try that seafood sandwich that’s been calling your name. Beef (particularly carne asada) is the most popular type of food in Argentina. In other regions (specifically Patagonia), lamb and goat are more popular than beef, so be sure to try some slow-roasted meat at a restaurant here. Because Italian food is so popular in Argentina, many of the classiest restaurants serve decadent pasta and beef dishes so delicious that you will never want to count calories again. If you’re looking to have a classy night out, nothing beats an evening at a traditional Argentine steak house, especially if you throw in some Mendoza-made wine. One of the most popular drinks (if not the most popular) in this beautiful country is wine. Mendoza, a small city by the Andes, is one of the highest wine-producing areas in South America and some of the most famous wines in the world are made here. Grade A wine is often cheaper than water in Argentina, so do your wallet a favor and drink delicious Argentine wine with every meal. While not traditionally a country favorite, beer has recently become one of the queen bees of alcohol as well. Quilmes is the most popular type, named after the town where it was first produced. Because of the large amount of German immigrants in Argentina, the beer quality has greatly improved over the past few decades. There are even several mini Oktoberfests that happen all over the country every year and breweries have been sprouting up in every city. 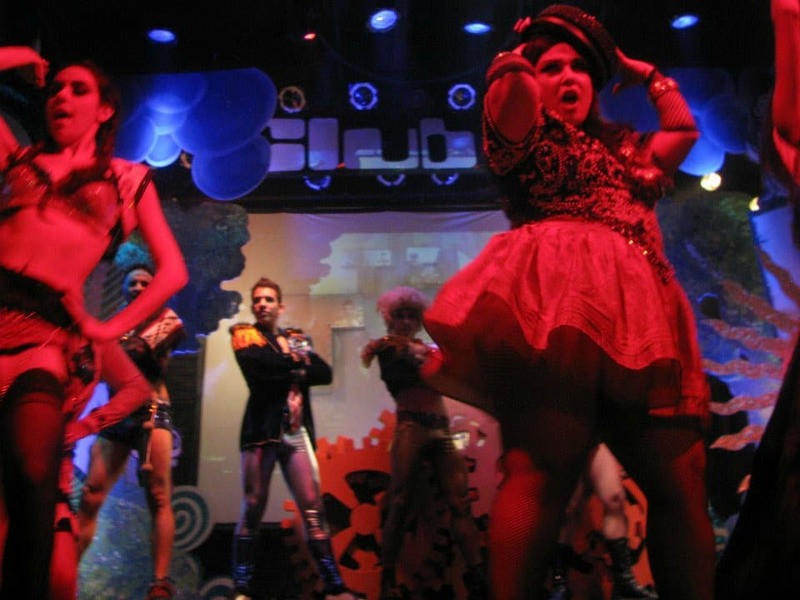 *Insider Tip – If you want to sound like a local, be sure to enthusiastically cheer “Salud, amor y dinero! Y tiempo para disfrutarlos!” (or more simply “Salud!”) after you receive your glass of malbec or pisco sour. 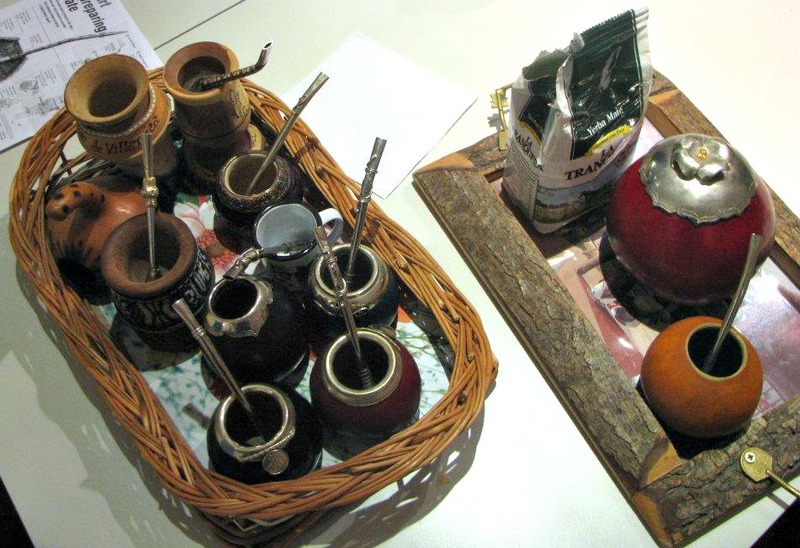 Though wine and beer are go-to’s, the traditional drink in Argentina is mate (pronounced “ma-tay”, pictured above). Served in a hollowed-out gourd, drinkers mix yerba mate and hot water to produce a tea-like beverage. Drinking mate is an important social ritual in Argentina and has been part of its culture for centuries. Very similar to British tea time, there is usually a time set aside each afternoon for groups of friends or families to convene in parks or cafes to relax and pass around the mate, and even strangers on the street will offer you a sip of theirs if you happen to walk by during mate time. It is not uncommon to see people drinking mate in all environments, from in class to at work. There are many rules when drinking mate in a group, so be sure to do your research before so as not to offend the locals! 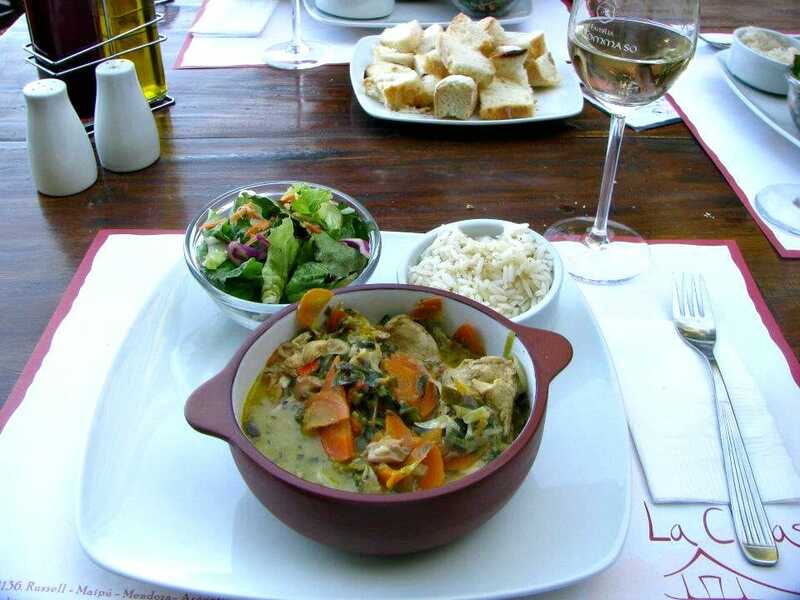 Have you tried any of these classic Argentinian dishes?